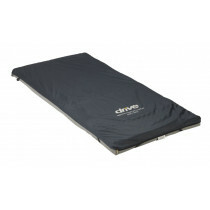 Size -- Ranging from 35-36 x 80 inches up to bariatric, there is a size to meet virtually any patient's needs. 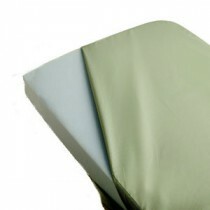 Health needs -- Mattress designs (preventive and turning), as well as comfort levels, help address health issues that impact bed-ridden patients. These issues include bed sores and skin shearing. 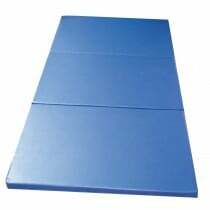 To address these, consider a self-turning mattress that rotates a non-ambulatory patient onto his or her side. Budget -- Mattresses range from economy models that are a perfect for healthcare and governmental facilities to top-of-the-line, fully adjustable models that are ideal for homes and long-term care facilities. Use the shopper's guide below to learn more about the mattress types offered by Vitality Medical and their benefits. 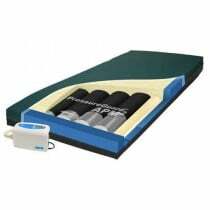 Which medical mattress is best for me? 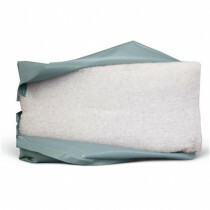 Preventive -- Several inflatable medical mattresses (also called air hospital beds or pressure relief mattresses) and foam mattresses help protect delicate skin. Some have alternating air pressure levels (via air cylinders or pumps) to promote circulation and prevent bedsore formation. 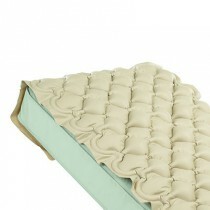 Many foam beds feature heel slopes that reduce pressure on sensitive heels to prevent abrasion-related injuries. 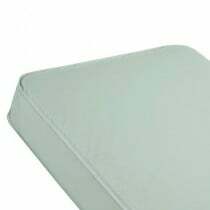 Select foam mattresses and inflatable mattresses have elements, such as winged sides, to mitigate fall and entrapment risks. 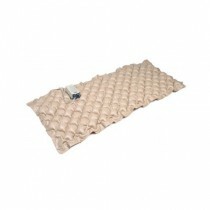 Some inflatable mattresses have transfer modes that facilitate daily living activities. 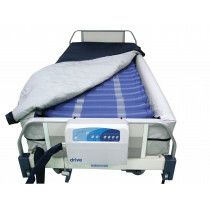 Drive Medical's Alternating Pressure Air and Foam Mattress Powered is popular example of an inflatable mattress that alternates pressure. Turning -- Some advanced inflatable mattresses provide lateral rotation for non-ambulatory occupants via dual pairs of cylinders or pumps that inflate and deflate to gently rotate an occupant onto his or her side. 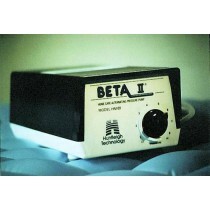 Beyond comfort, these features play a role in preventing -- or treating -- pressure-related skin ailments. 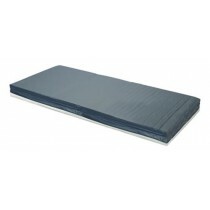 Span-America's PressureGuard APM2 Mattress is a prime example of an inflatable air mattress that laterally rotates occupants at the flip of a switch. 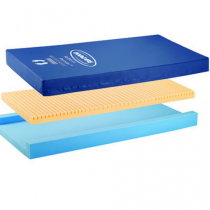 Comfort -- Similar to many home mattresses, these consist of inner-springs (coils) and tend to be firmer than other medical mattresses. This is preferred by occupants who enjoy a constant level of firm support. The Invacare Deluxe Innerspring Mattress is a customer favorite because it blends familiar comfort with healthcare-grade features. 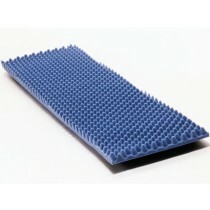 Budget -- Some customers are attracted to the simplicity and value of latex-free polyurethane foam mattresses. 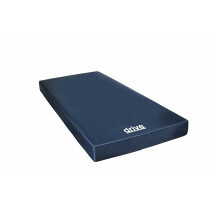 Many choose foam mattresses to outfit larger facilities and homes with multiple bed frames. 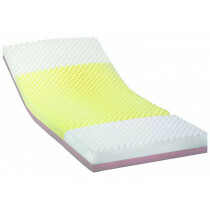 Foam mattresses are typically covered in easy-to-clean vinyl or nylon. 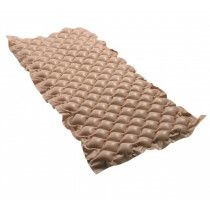 The Invacare Economy Foam Mattress is a preferred among value-driven Vitality Medical customers because it deftly blends comfort with durability. 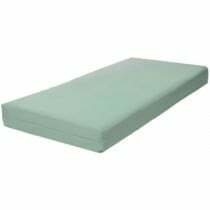 Ranging in size from 35-36 x 80 inches, inner-spring mattresses are an economical choice for those upgrading existing hospital bed frames. 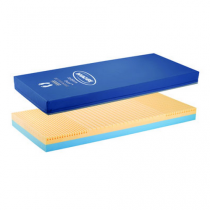 Inner-spring medical mattresses typically fit these specialty frames better than a traditional twin mattress. 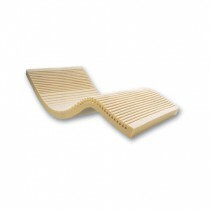 Many models are covered with low-maintenance, liquid-resistant materials. 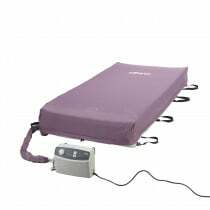 Among inner-spring mattresses, the Graham-Field Homecare Innerspring Bed Mattress was designed to withstand the rigors of healthcare.